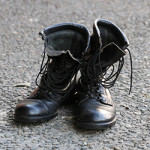 Old Boots Veterans Association aims to help overcome OSIs with focused effort, humour and hope. We meet weekly to share and to learn from one another. The professional therapists ensure safety and focus. We laugh a lot..
Military members have a long history of sewing name tags, altering uniforms, painting rocks, cleaning weapons and polishing boots. These handwork tasks create focused attention and often a space to talk. At Old Boots Veterans Association we use different sorts of handwork to create focus and attention as a vehicle for health. It might be quilting or another handcraft, but the creative action is powerful. Creating helps heal after the destruction of trauma. If you are a vet with OSI, check us out, we may be a good fit for you. 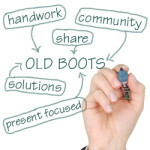 At Old Boots Veterans Association meetings we share and learn from one another. We use our hands as we talk, it helps the focus. We laugh a lot. Each member is met by Liz Massiah first to get to know each other and make sure there is a good fit. Membership fee is low, the professionals donate their time to give back to soldiers. 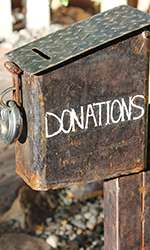 materials are bought, donated, scrounged. If you are someone who wants to provide support for our veterans who suffer from PTSD and other OSIs, there are several ways that you can do this through Old Boots Veterans Association. If you wish to support in the form of gifting funds or through personal involvement in activities these gifts mean a great deal in supporting our veterans with invisible wounds. Old Boots meetings are like a long drink of cold water after a tough march.